IndusForex brings you the hassle free way of traveling abroad. 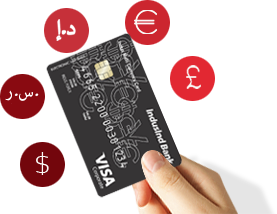 The multi-currency prepaid cards are issued in 8 different currencies at present and can be purchased from IndusForex portal or from any IndusInd Bank branch. This unique product reduces the hassle of losing and managing multiple cards. 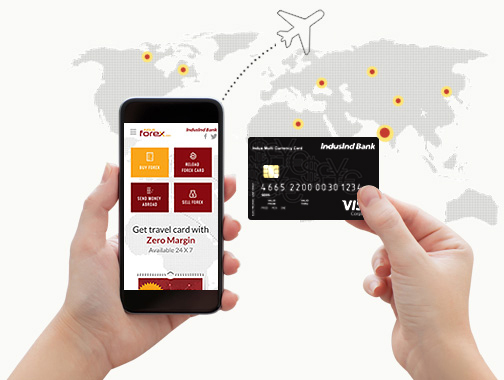 Now you can easily manage your card with our mobile app and online portal. Traveling abroad? 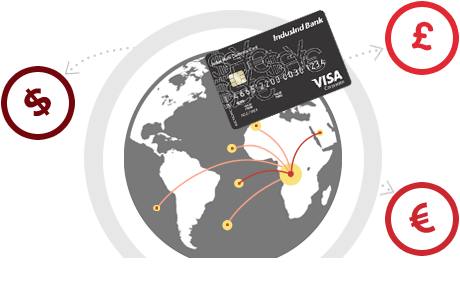 The Visa powered multi-currency prepaid card is going to be your best friend with unmatched features. With the IndusForex card you can now use the authorization order to debit from a different currency wallet. Which means, if your balance for a local currency is low, with the multi-currency card, you can use other currency wallet with sufficient funds to pay for that transaction. Pay from other currency wallets if your local currency wallet has insufficient balance. You can Set Currency Priority in which wallets are debited in case of insufficient local currency.